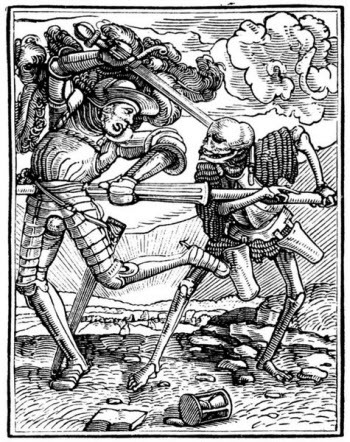 The DANCE OF DEATH (also called in Latin: Chorea Machaboeorum, or in French: La Danse Macabre) is the name of an allegorical representation of the universal power of death. 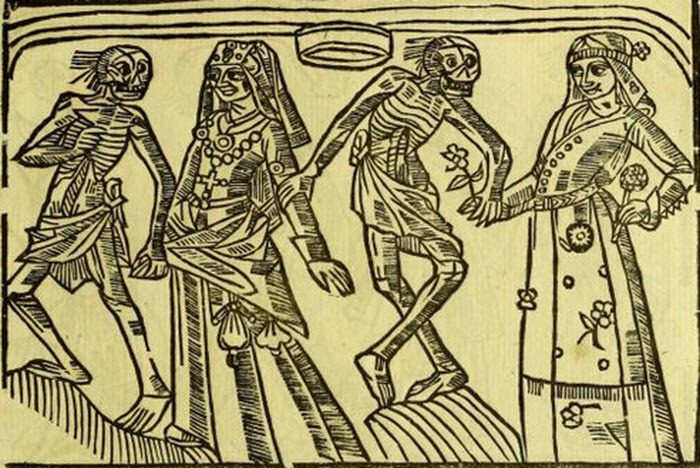 The Dance of Death originated in 14th century Europe as a dance in the form of a village play similar to a morality play, in which actors portrayed death and the dying. Its purpose was to remind that all must die, and often unexpectedly, so that one should be prepared to be judged in the Afterlife. In time, the Dance of Death evolved into a variety of pictorial representations ranging from crude drawings on the walls of churches and cemeteries, to more sophisticated illustrations in books and manuscripts. 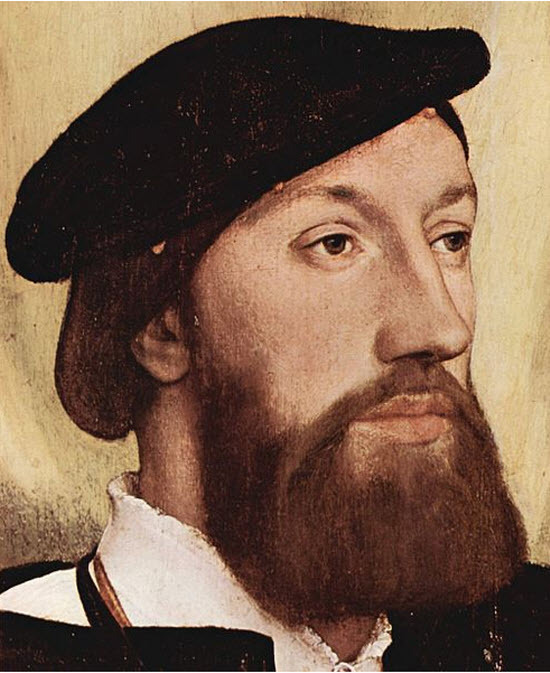 Of these, the best version is the series of drawings created by Hans Holbein. 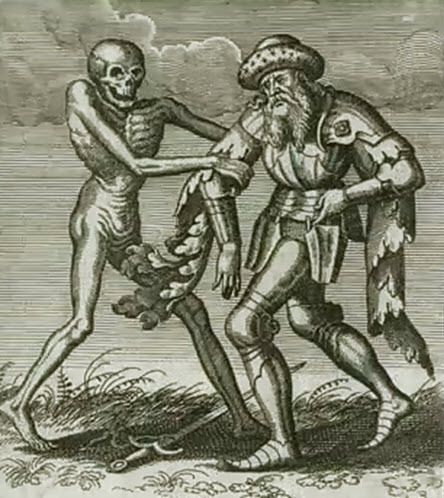 Other notable representations of the dance of death include Thomas Rowlandson's English Dance of Death (depicting typical British personages) and woodcuts by Michael Wolgemut. 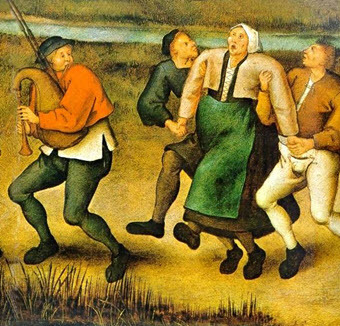 The prevalence of the Dance of Death as a cultural motif and allegory reached the height of its popularity during the Middle Ages and Renaissance, likely spurred by the uncertainty of life at the time, when plagues and wars made life extremely precarious. 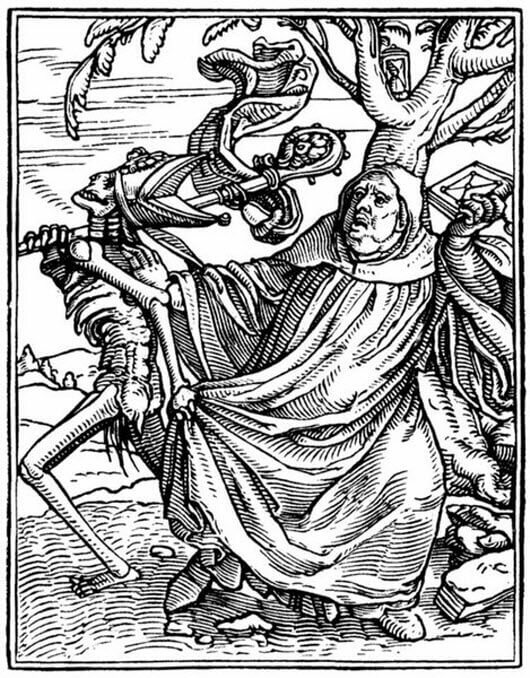 However the dance of death has remained a powerful allegory, and many of its central images have been woven into modern cultural expressions including music and movies. The earliest roots of the dance of death are obscured by time. However historians believe that its origins can be traced back to the introduction of Christianity into the Germanic areas of Europe. 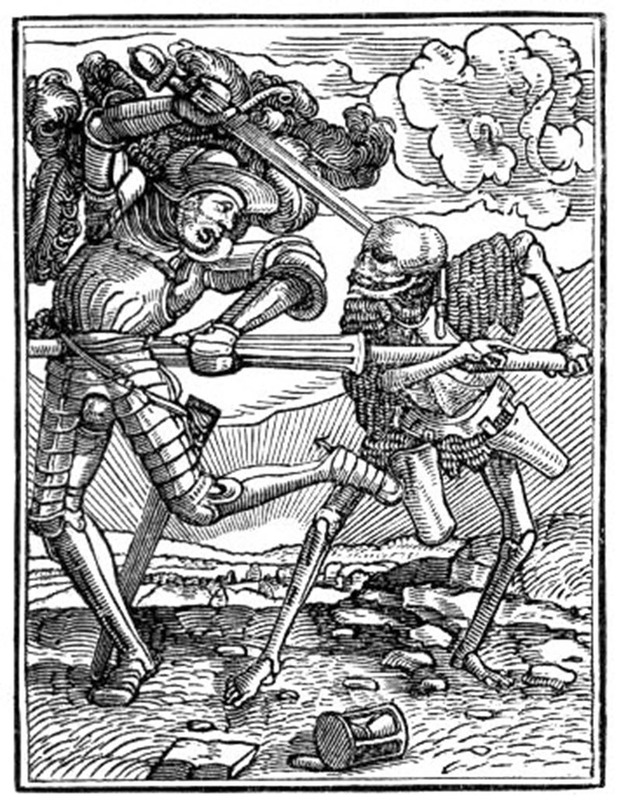 When the introduction of Christianity first banished the ancient Germanic conception of a future state, a new description of death-mythology arose, partly out of biblical sources, partly out of the popular character itself, wherein the last enemy was represented under simple and majestic images, such as that of a husbandman watering the ground with blood, plowing it with swords, rooting out weeds, plucking up flowers, or felling trees, sowing it with corpses; or of a monarch assembling his armies, making war, taking prisoners, inviting his subjects to a festival, or citing them to judgment. But with a gradual change in national manners came a change in the mode of treating the subject, and it was associated with every-day images, such as the confessional, chess-playing, and above all, with the adjuncts of a festival, namely: music and dancing. This tendency to familiarize the theme increased during the confusion and turmoil of the 14th century, when the national mind alternated between fits of devotion and license, or blended both elements in satire and humor. Such a mood as this naturally occupied itself with personifying death, and adopted by preference the most startling and grotesque images it could find that of a musician playing to dancing-men, or a dancer leading them on; and as the dance and the drama were then intimately connected, and employed on religious occasions, this particular idea soon assumed a dramatic form. What is the Dance of Death?